Before I get into the review of this book, I want to mention that the Significance series is one of my all time favorites. I’ve read all 4 previous installments at least 10 times. This series is one that I can always fall back on like a loyal friend. It’s guaranteed to get me out of a reading slump, becasue it’s the perfect combination of romance and paranormal genres. Sometimes I just like my romance without any drama 🙂 And in the previous novels, Caleb and Maggie were always a united front against every obstacle. And I love that. So, since I am such a huge fan of these characters, I was so excited to get my hands on this book! 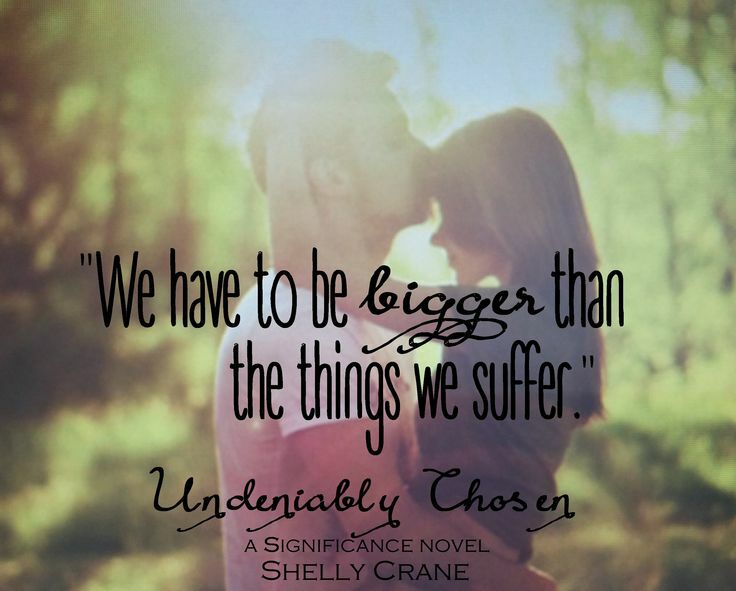 Undeniable Chosen is set in the same world as the other Significance novels. However, it is about 25 years in the future. And it is about Caleb and Maggie’s daughter, Ava and her new significant (from a rival family, the Watsons), Seth. Second, I’ll confess I was a little bit nervous to read this book. Mostly becasue of my attachment to the characters in the first novels. I thought maybe I would miss reading about them; that these new characters wouldn’t measure up. But I don’t even know why I was worried. Ava and Seth are written so well, I couldn’t help but fall in love with them while they feel in love with each other. The good: This new story didn’t feel like Caleb and Maggie’s story re-written. Ava and Seth have a story all their own, and I loved reading about them. From their first meeting and imprint (which didn’t go anything like I imagined), to their first fight, their first kiss, their first ‘I love you’s’, and their first battle against the Watsons, I was swept away in their love story. I loved that some storylines from the other novels carried over into this one. I also loved that this book had a lot more paranormal aspects than I expected. The supernatural was mixed in quite nicely with the romance, and helped tie up some questions towards the end of the book. The ending was satisfying, but left enough unanswered questions that I can’t wait for the next installment! The just okay: I will say there were times when I was a little disappointed that we didn’t get to hear from some characters, but only got brief mentions of them. I would have liked Ava and Seth to have more interactions with various Jacobsons. However, those were fleeting feelings, and probably stem from my love of the other installments. Ava and Seth kept me quite entertained in their world. Thanks so much for reading! Follow me for more reviews soon, including one for The 5th Wave! Previous Previous post: Book Talk: A Bookish Tattoo?